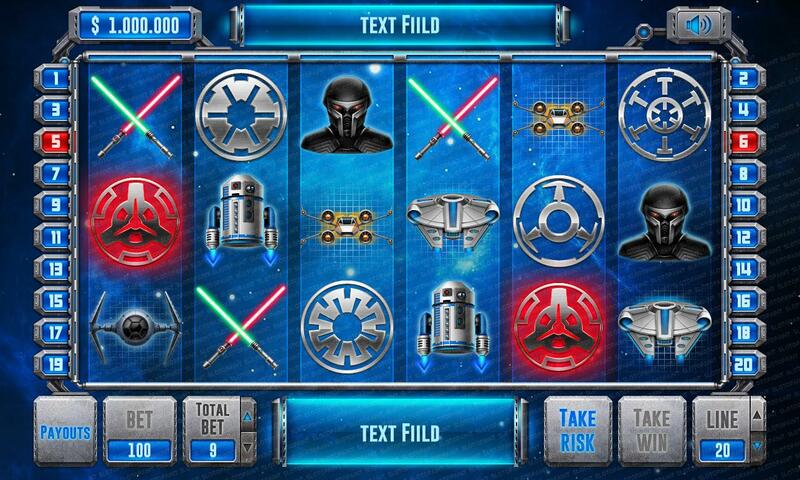 The gameplay of this slot machine is inspired by the famous movie franchise “Star Wars”. 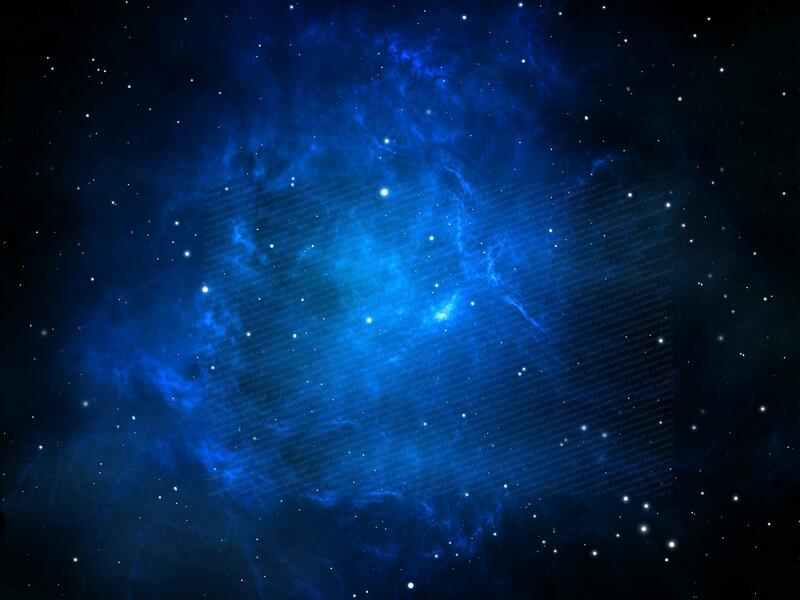 The game reels is a field of 6×3 cells, where all game symbols involved in the game are conveniently located. 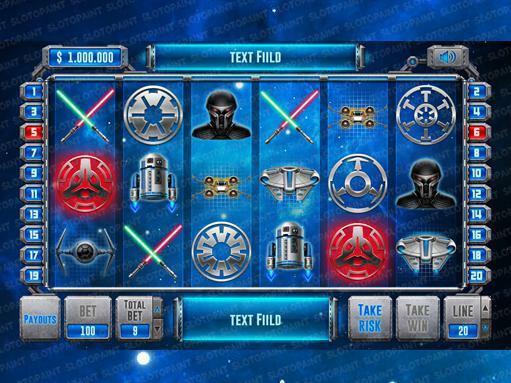 Below is the control panel and navigation, where the player can not only to press the desired buttons, but also to track his game progress. 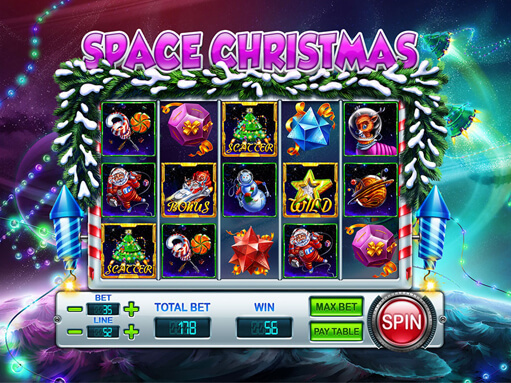 For example, on the bottom panel there are special buttons with the help of which you can increase or decrease your current bet and the number of lines, as well as see your total bet and overall winnings. 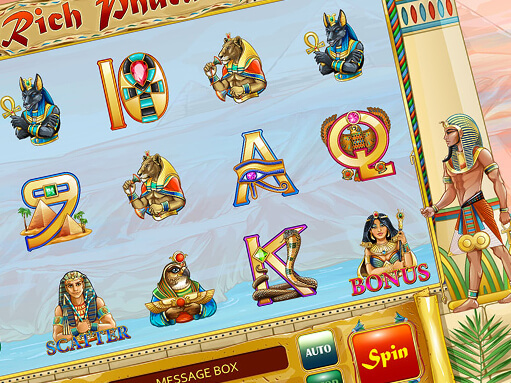 There are line indicators on the sides, if you’ll get winning line of symbols your win is guaranteed. 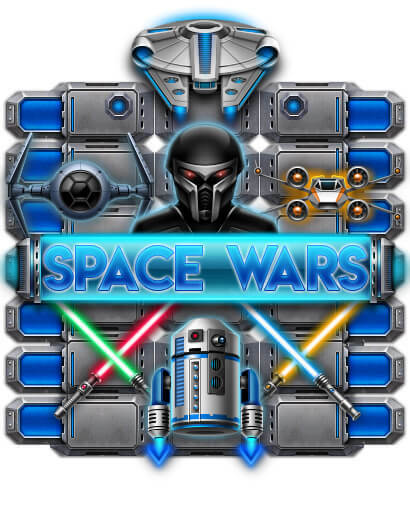 Here you can see a set of game symbols specially designed for the slot machine slot “Space Wars”. In this set there are symbols from different categories, including “low”, “middle” and “high”. 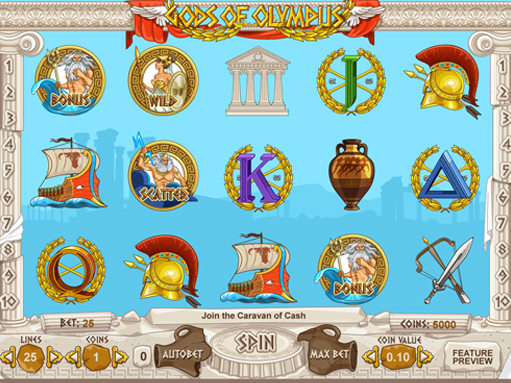 Thus, the number of winning points may differ, as a result of simultaneously getting the symbols of one or another category. 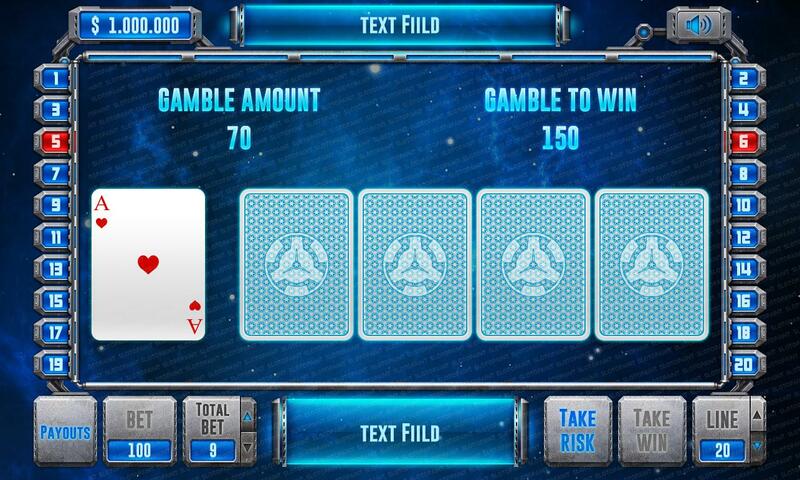 This is the main screen of the game for doubling, where you have to beat the dealer’s card. If you are lucky and you beat the card, then you can double your bet and continue the game, or continue the game without doubling the bet. If you can not beat the dealer’s card, then all of your winnings that you earned previously burn out. Do your bets wisely, and only if you are completely sure of your winnings. 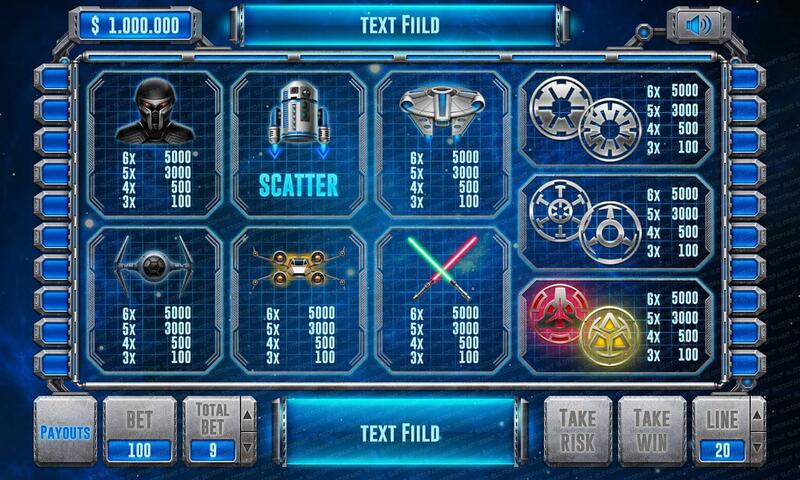 This screen is an auxiliary table of rules and payments, where the player can get acquainted with all the numerical values that are awarded for the simultaneous getting of several specified symbols. 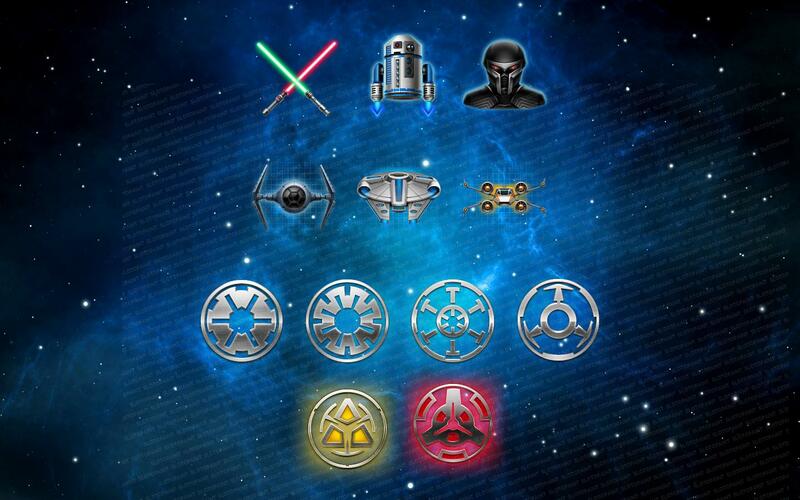 The more symbols of a certain type you’ll see simultaneously on the game reels, the more winning points you’ll get.